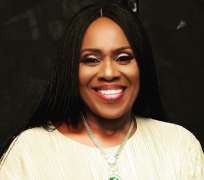 Timeless beauty Joke Silva looks flawless as she puts on a youthful display in sizzling new birthday photo. The veteran is considered one of Nollywood most renowned and honoured actresses. And at 55, Joke Silva has proved age doesn't come before beauty.